Background/Info: Behind Dead When I Found Her is hiding the creative outlet of Michael Arthur Holloway. Based in Portland (Oregon) this artist is maybe not the most famous one from the Artoffact roster yet probably one of the most talented ones. 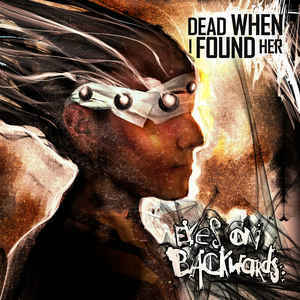 “Eyes On Backwards” is the fourth full length album for Dead When I Found Her, which comes one year after the successful “All The Way Down”-opus. 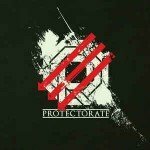 Content: I once more have to make a comparison with the legendary Skinny Puppy. Both bands share a similar taste for elaborated music structures and sophisticated sound creation. It even is one of the main characteristics of this formation. “Eyes On Backwards” invites the listener to join a pure horror experience in dark-electronics. The atmospheres are almost more important than elements like rhythm and power. The power emerges from the intelligent and dense sound atmospheres reinforced by samples of screams. It’s dark and dreamy while once more accomplished by some space-like sound arrangements. There’s a part of bombast mixed with subtle arrangements always carried by impressive sound sculptures. + + + : You have simple and efficient EBM on one side and more sophisticated and intelligent EBM on the other. Dead When I Found Her is an ambassador from the intelligent side. This new opus excels in sound treatments and overwhelming terror-atmospheres. It sounds dreamy, but always tormented. The beauty of this work is hidden in the oppressive ambient element. It’s a complex sound although pretty accessible while revealing several noticeable cuts. – – – : I didn’t find many differences in the evolution in sound with the previous work. Despite of the multiple great cuts, there’s not what I would call a real hit on this album while it remains a sound, which is not exactly setting dancefloors on fire. Conclusion: Dead When I Found Her remains a reference when it comes to speak about contemporary, intelligent dark-electronics where the power and beauty of the production are hidden inside the dense and dark atmospheres. 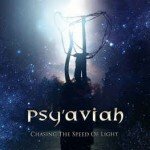 Best songs: “Shining Path”, “High Anxiety”, “The Big Reverse”, “Tantrum”.